I'm too tired and fighting off a cold to come up with the blog post I was intending to write. 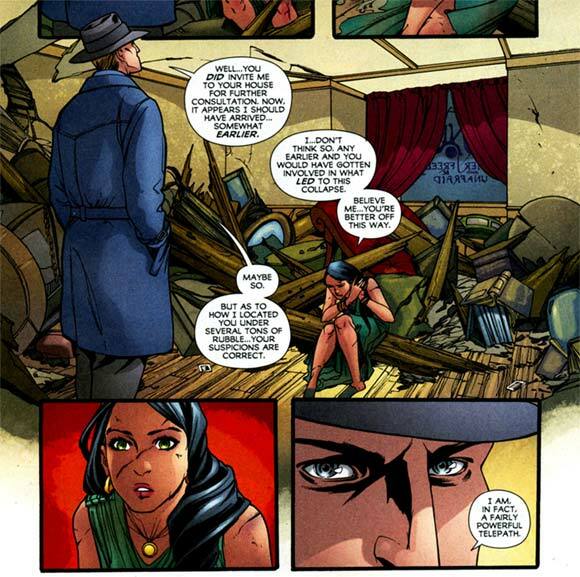 So in the meantime, enjoy the view of Amy Reeder Hadley's art from Madame Xanadu #21 and some dialogue by Matt Wagner. Madame Xanadu is having some apartment problems, it would seem, and J'onn still has that trademark dry sense of humor. Good stuff! I guess that one of the major drawbacks of being a superhero OR villain, is that you never ever get you security deposit back.